It's been a bit of a quiet weekend, although I'm grateful for that. Yesterday I went over my parents and we had planned to make a snowman using the snow we got on Wednesday, but unfortunately this wasn't at all possible. On Wednesday the snow was rather powdery and wouldn't roll/stick and could only be compacted to get it to stay together and sadly 3 days later it was even worse. It had become more like sand than snow and after about 10 minutes of struggling even to make a snowball we gave up and went inside. 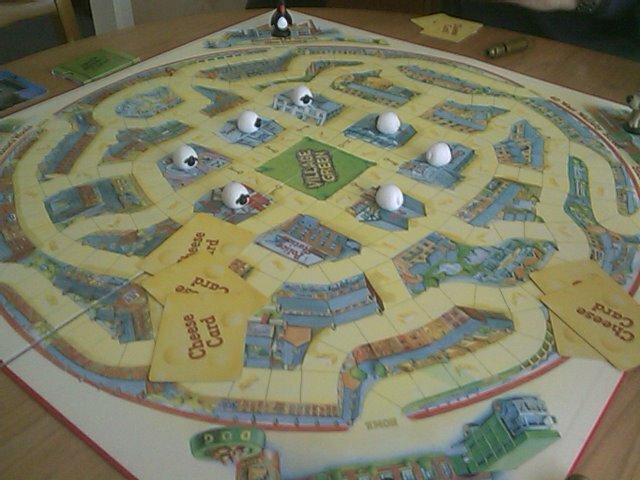 We decided to play some board games and tried the new "Wallace & Gromit's Fleeced" game that they got at Xmas. You can pick your playing piece from either Wallace, Gromit (my dad), Shaun, Wendolyn (my mum), Preston or Feathers McGraw (me). 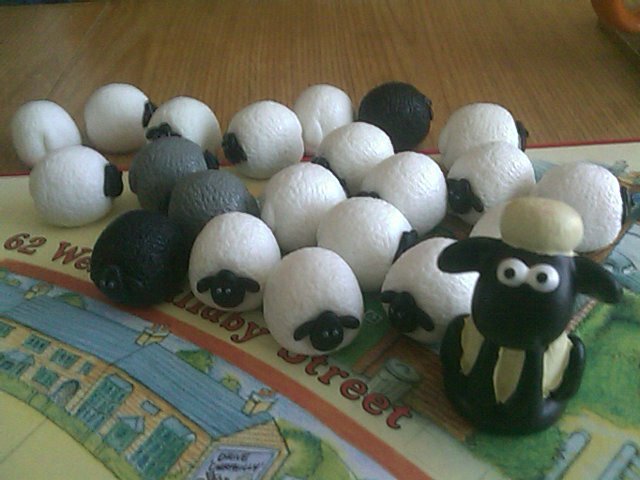 The objective is to find the sheep and rustle them (it even comes with whistles for you to blow!) and then try and get them back to your home point whilst trying to avoid the other players who will try and and steal them from you. It sounds simple enough (?) but soon turned into complete chaos as we all had chains of sheep and were trying to avoid everyone else.